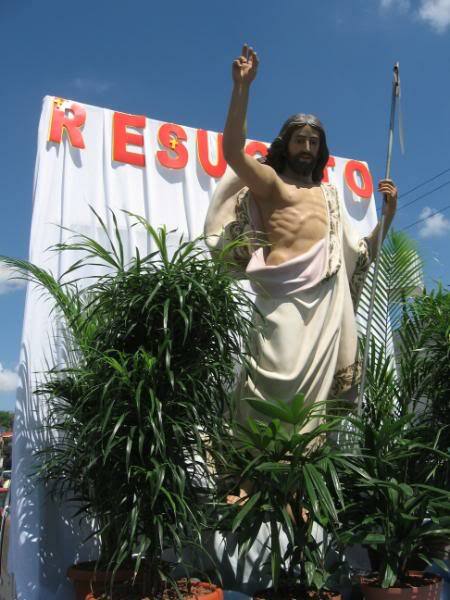 This is our first Easter in Costa Rica as a family, which finishes off Semana Santa or Holy Week. As far as we can tell they don’t really do the Easter Bunny, egg hunt thing here. Many of the locals take off for the beach this week making it one of the busiest times of the year in the beach and tourist communities. Also making it one of the most expensive weekends of the year at restaurants and hotels in these areas. One of the reasons we decided to stay home this week. The beginning of the week started out pretty normal with the exception of some business being closed. On Wednesday at midnight things start to change a little. The next morning more business, banks and government offices are closed and will be until the following Monday. 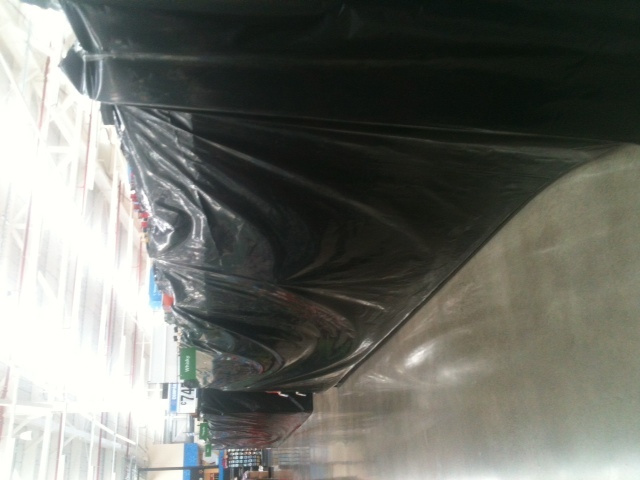 Grocery stores and kiosks that are open cover up all of their alcohol and clear out all of their meat. They will no longer be aloud to sell alcohol or meat until Saturday at midnight. This is what the beer and alcohol isle looked like at the market during the last few days of Semana Santa. 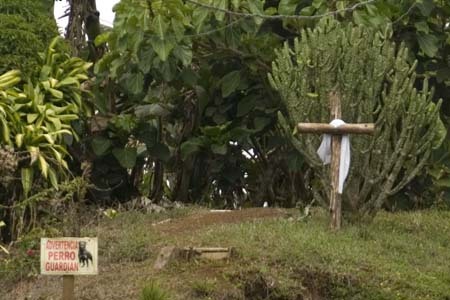 For the most part Ticos relax on Friday and Saturday, where some of the more religious take it to extremes. Many people do not drive, prepare meals, while some don’t allow their children to play or go in the water at the beach in fear that if they do they might be cursed. Needless to say the roads are rather empty and many business are closed on these days as people are urged to sit back and reflect upon their sins. 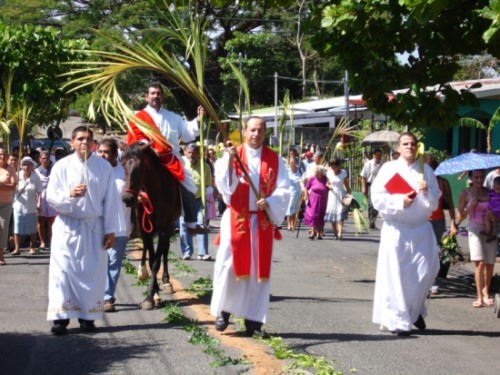 Local Catholic churches even put on processions that people are encouraged to attend. I would say that quarter to half of the homes have hung up a cross with a purple cloth draped around it for the entire week. Purple is the color of royalty, but it’s also the color of mourning, which is suppose to acknowledge both Christ’s kingship over the world and His death. On Friday, the last Friday of Lent, many people put out alters in their homes and public places to honor the Virgin of Sorrows. You can see them on windowsills, in niches, in doorways and living rooms, in public courtyards and private patios. A week before Easter Sunday there are different processions that start to take place in different towns. These are Catholic reenactments of Christ last days on earth as a man, leading up to him being crucified for the sins of the world. Some processions have different floats or statues that people carry, other towns processions have a cast and crew of people dressed in period pieces of ancient Rome as well as staring characters like Mary, the Roman soldiers, the disciples and Jesus. 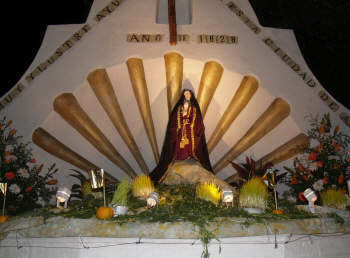 Semana Santa kicks off on Palm Sunday with a parade that starts in the town park or a few blocks away from the local Catholic church, which is located in the heart of most communities.. The actor playing Jesus rides a donkey with a group of people in front and behind him laying down palm branches. This is suppose to represent when Christ entered Jerusalem, before passover. During the week of Semana Santa there are different processions held reenacting different events that lead up to crucifiction. One procession reenacts the last supper with Jesus and his disciples, where Judas betrays Jesus. Another procession tells the story of Jesus on trial before the Sanhedrin and Caesar. 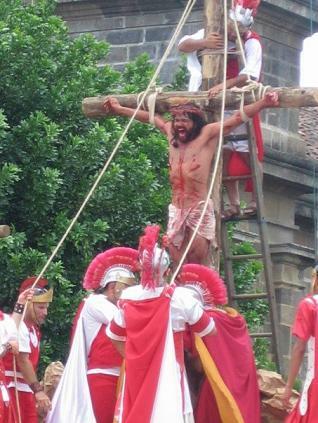 Then on Good Friday the parade takes a different turn and the procession starts with the soldiers leading the pack with the Christ character carrying the cross in agony. He looks pretty beat up but minor after the desensitization from viewing the Mell Gibson Passion film some years back. Following the man carrying the cross in the parade is a crowd of people mainly the disciples and some women. Christs mother Mary is following usually elevated on a float behind the crowd looking like some type of spiritual god-like creature. The parade ends in front of the church where the crucifiction of Christ is reenacted complete with two criminals hanging on either side. Finally on Easter Sunday you have the last procession with the Resurrected Christ and a huge celebration to follow. If you live in the pathway of the parade route there is a good chance that members will come to your door and share with you about what the procession is all about. Many of the towns have their own version of the procession with some taking different characters, parts, or scenes to different extremes. I am not sure as to the validity of this but I had heard from a friend that some towns even have the Judas Character which is not an actual person but a dummy bag stuffed with potatoes or what-not. This is so the locals than beat it up and even burn it to show how disappointed they are in the traitor. 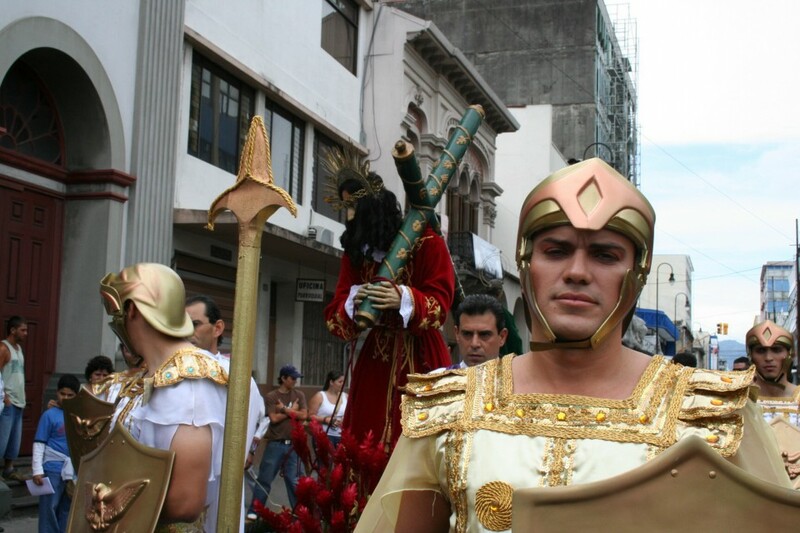 If someone is called a Judas in Costa Rica, they are looked negatively upon. It is similar to calling them a traitor or a Benedict Arnold in the States. In the towns that have an actual Judas character I’m sure that there is always some poor guy each year that shows up to see what role he gets in the procession only to be utterly disappointed to get the Judas role. On one hand he is thrilled to get a role than ultimately humiliated for the role he has to play. For the rest of the year there is always going to be some drunk or rowdy group of delinquent kids that call him Judas either behind his back or too his face directly.